To burn the dvd files I use a program called K3B for ease of use (K3B is very self explanatory). This shall serve as a reminder for myself and may help others. There is different versions of audio conversion, CBR (Constant Bit Rate) and VBR (Variable Bit Rate), it seems that many DVD players perfer the CBR. Below is both versions with links to the relevant programs and example command lines. This generates two files, *.m1v (the video segment) and *.mpa (the audio segment). -y video, audio export modules. This will create a MPEG file ready to be either watched or converted again into the VCD format and then burned. If the INPUT file is in a MS MPeg4 v3 (DIVX3) then you have to convert the file into a DIVX format for FFMPeg to do its stuff. To convert to the required file you will need the mencoder program from MPlayer website. To convert to the required file structure use the commands below. 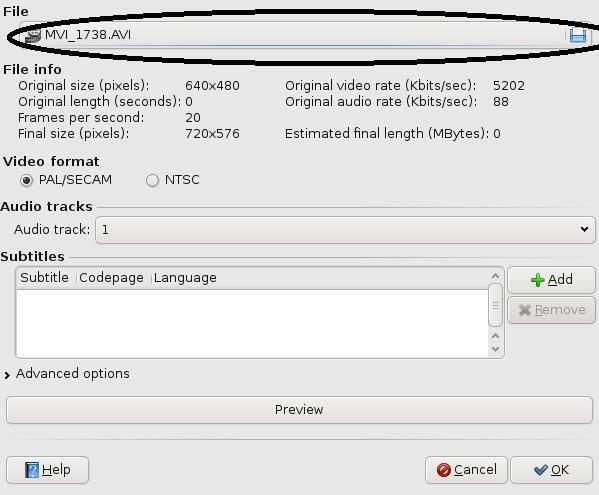 The options produce a mpeg4 version of the input file using the lavc video converter. Also with the option ‘vhq’, it produces a very high quality output file. 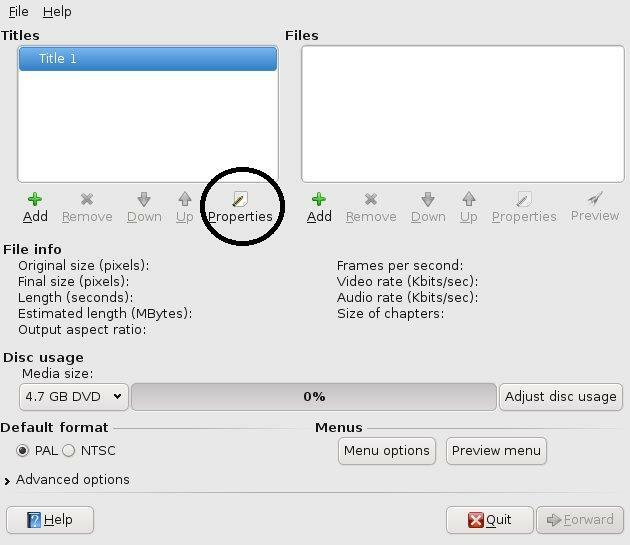 The options enable an VCD Mpeg type file output(-vcd) with a bitrate of 1150 (-b) and an output screen size of 352×288 (-s). The codecs to convert to are mpeg1video (-vcodec) so that it is able to be converted to an vcd image with the vcdimager program. 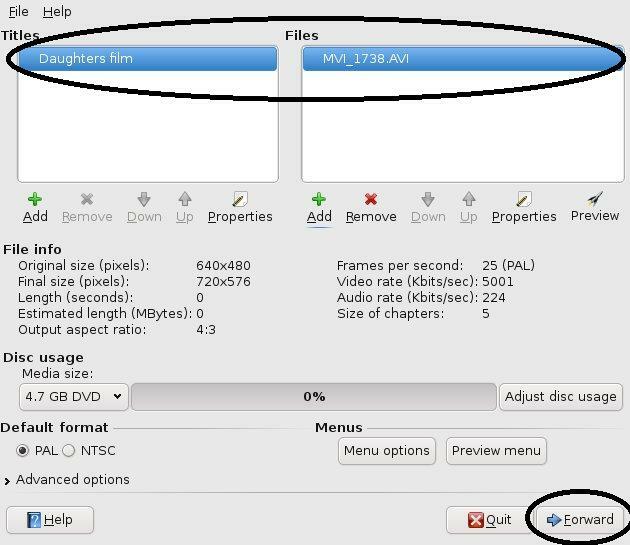 Note: This is still a MPEG file and not a vcd file, you have to use vcdimager below to create a vcd file to burn to disk. At the end of the copy it should say the frame that the mencoder finished on for the first file. Place that value in the line below (in the VALUE) to create the second value. I usally subtract about 10 frames just to make sure. This generates two files, *.m2v (the dvd video segment) and *.mpa (the audio segment). If the audio is in the AC3 Codec then you may need to reduce the bitrate for encoding. This is done with a profile file dvd.prof, which containts the following entry. this will reduce the bitrate to 4000 kpbs. The profile is passed to the transcode program within the 3rd parameter to -F, also the parameter -A means to use the internal AC3 codec. This will create a MPEG file ready to be either watched or converted again into the DVD format and then burned.